Have the Best Self Care Week Eva! Put all the ingredients into your Blender. ADD 4 ICECUBES to make it colder. Drizzle 1T of coconut cream around the inside of your glass. Drizzle the second Tablespoon of coconut cream in a different spot around the inside of your glass. Slowly pour in your milkshake. Sprinkle your coconut flakes on top. Frozen Fruit is a great choice for this recipe. You will definitely not lose any flavour. In Australia our frozen fruit is not cooked but in its raw state so it retains all its healthy properties. I have tried both the Coles home brand & the Woolies “Select” brand and I have found the fruit to be good quality, ripe and tasty in both brands. I am healing Adrenal Fatigue at the moment and so I have a heavy load of natural supplements that I am taking. 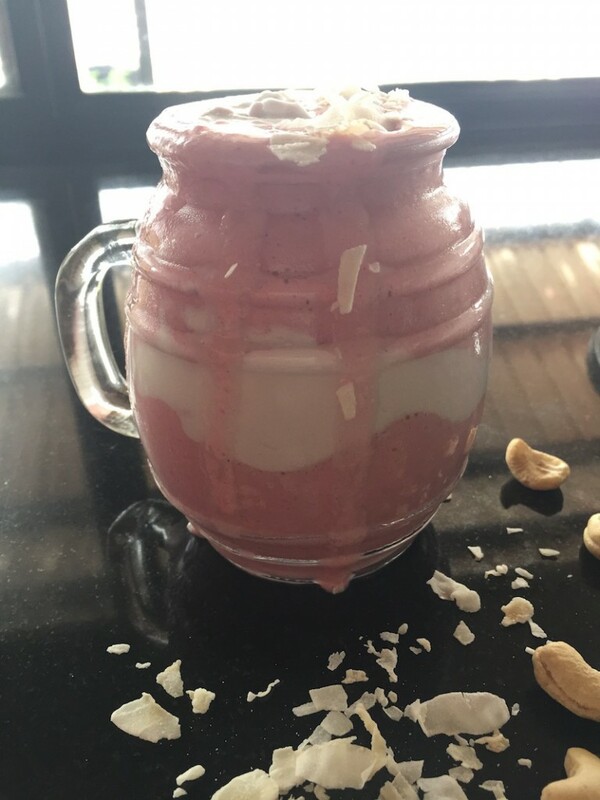 This smoothie is perfect to add any flavourless supplements into with no penalty to taste or texture. Success 🙂 Check your Email..
Martine is a Transformational Life Coach, she has over 15 years experience helping others find their happy, discover who they are and create breakthrough in their life. She shows you what is stopping you and holding you back and how to move on to your next level. Martine customises her programme to suit each individual client so they can live their absolute best dream.